Four year old Luke Vorster of Parkhurst, Johannesburg is the youngest philanthropist in Johannesburg. On Saturday 12th November 2011 he is setting off to cycle 800 metres in the Momentum 94.7 Children's Cycle Challenge, all in aid of Africa's first burns charity, Children of Fire. Little Luke was inspired by his Dad, Neil Vorster, who is cycling the (somewhat longer) 94.7 Cycle Challenge on Sunday 20th November, also in aid of the Auckland-Park-based charity. 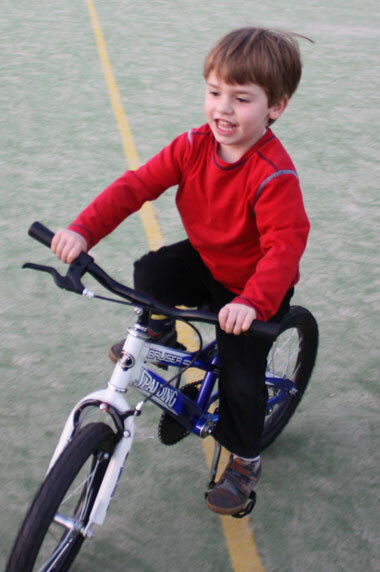 Luke may not be the fastest cyclist in the pack, in fact he can't even touch the ground when he's on his bike... but he's a little boy with a big heart. Luke says: "I just want to help the burned children, like my Daddy is. He goes training every day." Luke adds: "They're just kids like me, only they got hurt." 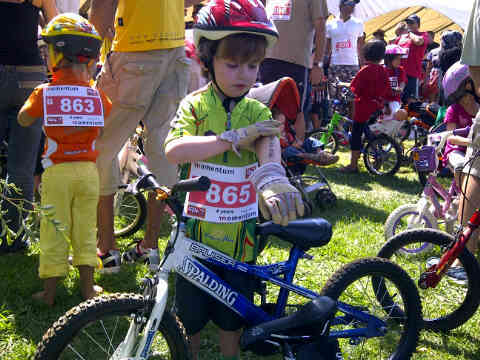 Luke would welcome more sponsorship for each metre that his little legs can pedal.